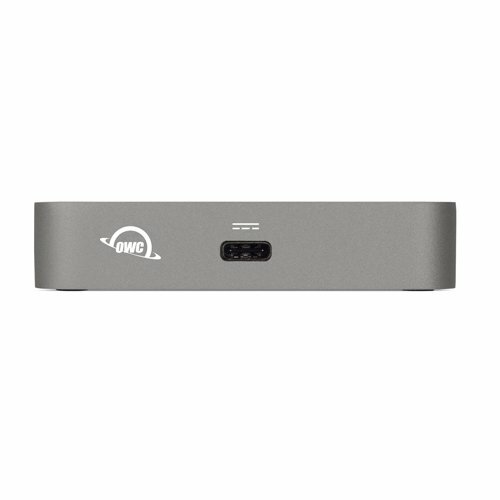 The OWC USB Travel Dock brings back portable connectivity to your USB-C equipped Mac or PC, and up to 60W pass through power. The USB-C Travel dock lets you drive an HD display, connect, power or charge up to two USB 3.1 devices and access photos from your camera's SD card. Add a USB-C power adapter and have a stand alone charging station. Built to the highest precision standards from brushed aluminum and acrylic, it's a great looking compliment to your laptop, and tough enough to follow you on any adventure, and it fits in your pocket. 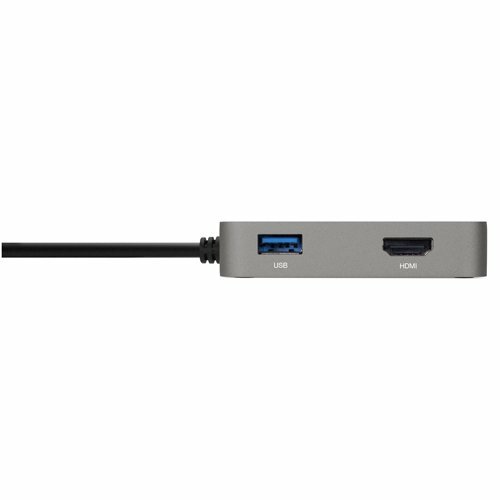 Any Mac or PC with a USB-C port or Thunderbolt 3 port. Can accept bus power from a USB-C host or from a dedicated USB-C power adapter. When connected to a power adapter the dock can draw a maximum of 60W. The dock itself requires 1.5W of power to operate. 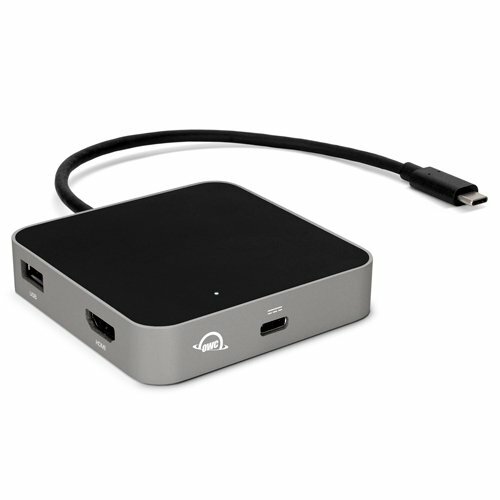 If the media reader or USB peripherals connected to the dock do not perform as expected, connect the dock to a dedicated USB-C power adapter. When connected to a power adapter, each USB Standard-A port can deliver up to 12W of power. Any power not used by the dock, media reader, and connected USB peripherals is passed to the host for battery charging, if applicable. Connect fast external drives, USB accessories, a 4K display, and more; All while on the go, and all with a single cable! 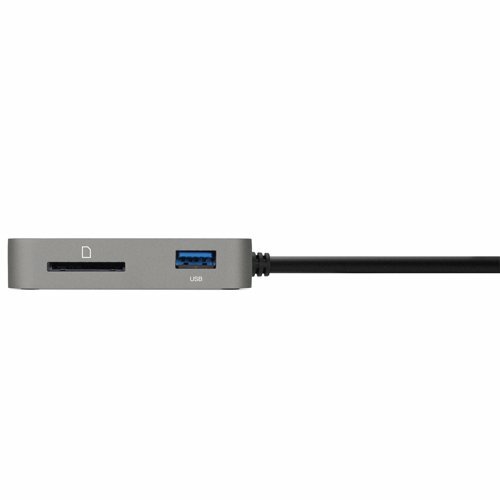 All-in-One portable USB-C Hub: In addition to USB Type-C connectivity, the OWC USB-C Travel Hub is also fully compatible with Thunderbolt 3 equipped Macs and PCs, and may be connected directly through a Thunderbolt 3 port on a computer or Thunderbolt 3 device.